New York, NY, USA (March 16, 2015) — The Metropolitan Museum of Art and Minneapolis Institute of Arts (MIA) announced jointly today that they are both recipients of transformative bequests of masterworks of Japanese art from the Mary Griggs Burke Collection. With objects spanning more than five millennia, the collection is widely regarded as the finest and most encompassing private collection of Japanese art outside Japan. 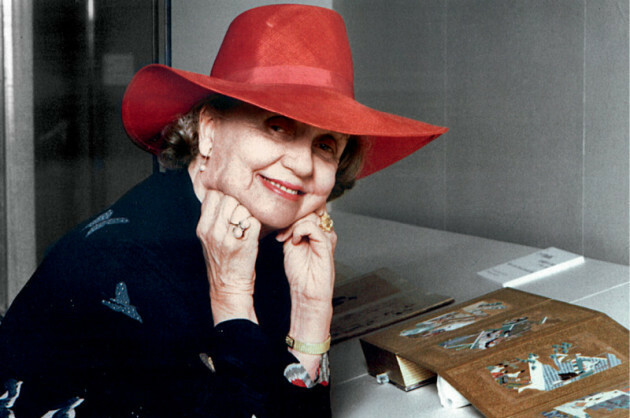 Mrs. Burke (1916–2012), who assembled her formidable collection of East Asian art over five decades, announced in 2006 that she would bequeath her Japanese and a smaller collection of Korean works to the two institutions. Overall, the Mary Griggs Burke Collection comprises approximately 1,000 works in various media—more than 850 Japanese works, some 90 Korean pieces, and about 65 Chinese works of art. The core of the collection is Japanese painting, consisting of 450 works in screen, hanging scroll, handscroll, and album formats, and around 40 works of Japanese calligraphy, as well as a small number ofukiyo-e prints and woodblock printed illustrated books. Mrs. Burke’s discerning collecting interests also extended to Buddhist and Shinto statuary, ceramics, and lacquerware. Art through a Lifetime: The Mary Griggs Burke Collection, the two-volume catalogue raisonné of the collection edited by Miyeko Murase, was published recently. The Met and the Minneapolis Institute of Arts were informed of the final terms of the gift agreements by the Mary and Jackson Burke Foundation in late February. Mrs. Burke had made the provisions for the division of the collection in 2007; the gift agreements respect her wishes and also include several works subsequently acquired by the Foundation. In addition, each institution will receive a generous cash endowment of $12.5 million, to be used primarily for the purchase of Japanese art and also for the funding of exhibitions, programming, and fellowships. The Foundation further announced that the Chinese paintings and objects from the collection would be presented to the Yale University Art Gallery, and that select contemporary works would be given to the Morikami Museum and Japanese Gardens in Delray Beach, Florida. Both the Metropolitan Museum and the Minneapolis Institute of Arts will present major exhibitions of their gifts from the Burke Collection this fall. 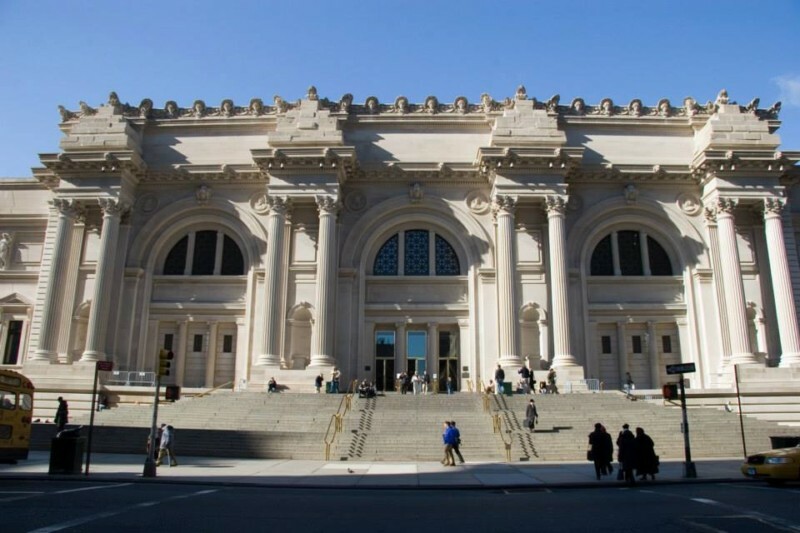 Thomas P. Campbell, Director and CEO of the Metropolitan Museum, commented: “The vision and generosity of Mary Griggs Burke shine throughout this landmark gift of over 300 masterworks of Japanese and Korean art to the Met. She was a consummate collector, trustee, and friend, who selected these superb works with great care to complement and augment our existing holdings. It is inconceivable that a collection comparable to hers could be assembled today. Given their rarity, aesthetic quality, and art historical importance, her gifts raise the level of the Met’s Japanese collection to one of the finest and most comprehensive outside Japan.” The announcement of the works in the bequest coincides with the launch of the Museum’s centennial celebration marking the founding of its Asian Art Department. When finalizing the lists of gifts to the Metropolitan Museum and the Minneapolis Institute of Arts, Mrs. Burke considered the strengths and weaknesses of each institution’s holdings of Japanese and Korean art. For example, if the Met already had a work of a certain genre or by a particular Japanese artist, that was comparable to one of her own, she opted to give her work to Minneapolis. Similarly, for Korean art, she designated more than 70 ceramic works to be donated to Minneapolis, with none going to the Met, where strong holdings of Korean ceramics already exist; the Met, however, received an exceedingly rare late medieval Buddhist painting of Shakyamuni and a gilt wood statue of a bodhisattva that augment its holdings in this area.